Another batch of troops marches out of the the Stygies VIII halls. 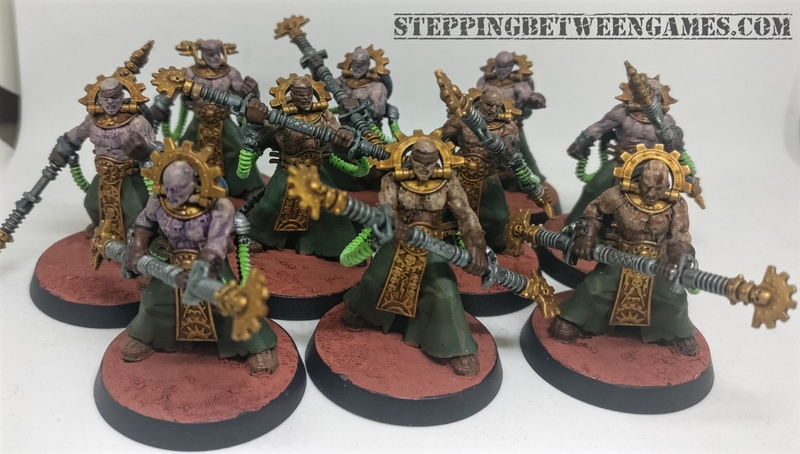 This time it is a group of Fulgurite Electro-Priests. Devotees of energy itself, the stride through battle surrounded by lightning fields and striking down all who oppose them. 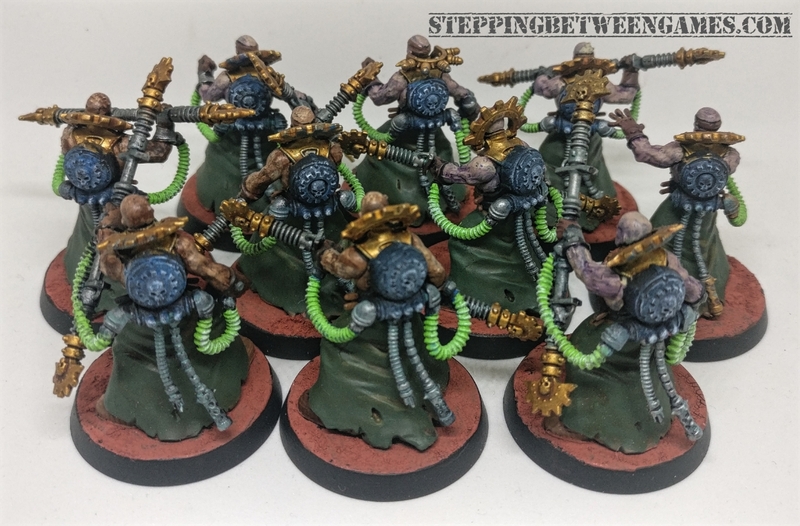 A squad of ten is a nice looking addition to my growing AdMech army, running on from our Tale of Two Warlords. They are done to a tabletop standard as my trip over to Warhammer World is getting closer and closer. I can always come back and touch up a few things later on. I gave them a variety of skin tones to try break the colours up. In particular I think the pale bruised flesh came out well. Along with the rest of the Start Collecting Adeptus Mechanicus (thanks again to Alchemists Workshops) I will be applying some weathering powders around the robes. Help tie them into the bases.